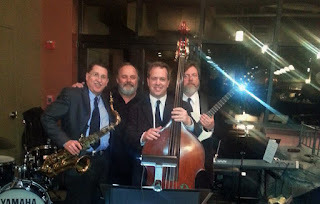 The Acme Jazz Quartet kicks off an exciting new season of live music at THE BLACK BOX, downtown Franklin’s theater, music and event venue, on Friday, September 15 at 8 p.m. 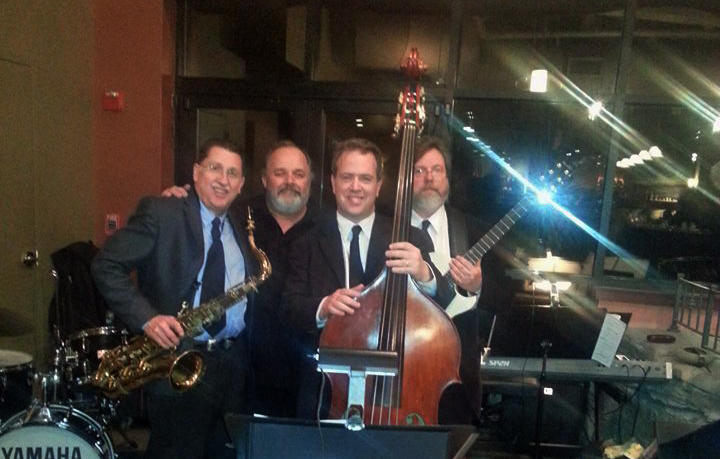 The Quartet features Kenny Hadley (drums), Mark White (guitar), Mark Poniatowski (bass) and Arnie Krakowsky (saxophone), four world-class musicians whose performance resumes include a long list of music royalty. A suburban hub for great music, THE BLACK BOX presents wide-ranging music entertainment, slated to include a Big Band Brunch, classical concert, cabaret performances, New England Artist Series events and more this fall. The home of the Franklin Performing Arts Company (FPAC), THE BLACK BOX is located at 15 West Central Street. Drummer Kenny Hadley has performed with Van Morrison, Dizzy Gillespie, Peter Wolf, The Drifters and Rebecca Parris. His acclaimed Kenny Hadley Big Band has shared the stage with the Count Basie Orchestra and the Duke Ellington Orchestra and has hosted guest soloists including Clark Terry and Louie Bellson. Bassist Mark Poniatowski is an Associate Professor at Berklee College of Music. His extensive performing experience includes the Manchester Jazz and Blues Festival with the Toni Lynn Washington Band and the Boston Blues Festival with Joe Bargar and the Soul Providers, as well as with Sid Caesar, Floyd Dixon, Janiva Magness, Rita Moreno and Junior Watson. Poniatowski’s recordings include “Mississippi Moan” with the Bruce Katz Band and “The George Carlin Show” soundtrack. Guitarist Mark White has performed with the Boston Pops under Keith Lockhart, Boston Musica Viva under Richard Pitman, and the New England Ragtime Ensemble under Gunther Schuller, as well as with the Empire Brass Quintet, George Russell, Gil Evans and Anthony Braxton, and numerous theatre engagements with touring Broadway companies.